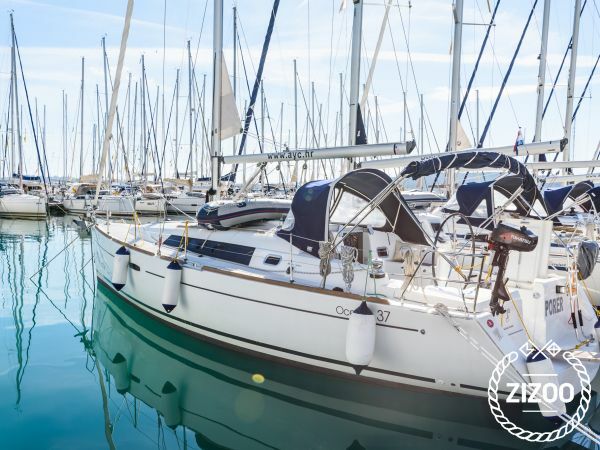 We heard from a friend that booked a boat on Zizoo and recommended it to us. It doesn't matter if you don't know anything about sailing, they will find the best boat for you and you can easily get a skipper. Top top top! 2 weeks sailing from Kastela marina was a wonderful experience! Despite having planned the holiday at the last moment, Zizoo immediately found the boat suitable for our needs. The skipper proved to be very friendly and speedy in answering doubts and requests. The boat Beneteau Cyclades 37 was delivered to us in fair conditions. Check-in and check-out operations went smoothly. In general, the reception at Kastela Marina was excellent. boot bestens ausgerüstet! Auch mit dem Service vor Ort war ich vollauf zufrieden. Für unseren kleinen Familientörn genau das richtige.